Micro and nano-machining are of the most emerging and growing fields in today’s fast-paced world with a large number of important applications. Demands for miniaturized products and devices has led to the development and requirement of micro and nano-scaled machining and processes. Micro and nano-machining are required in a large number of fields like biotechnology, electronics, medicine, optics, aviation’s, automobile, and communication to name a few. However, with a large number of application and huge requirement in various fields, these machining techniques are sophisticated and complicated when compared to their conventional or traditional part. 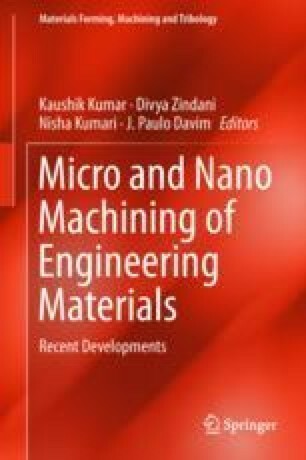 This chapter describes few such micro and nano machining techniques with their applications in industry.